older notes are not exchangeable !! 10 Centimos of 1.5 grams of Copper* and with a diameter of 15mm. 50 Centimos of 3.0 grams of Copper* and with a diameter of 18mm. 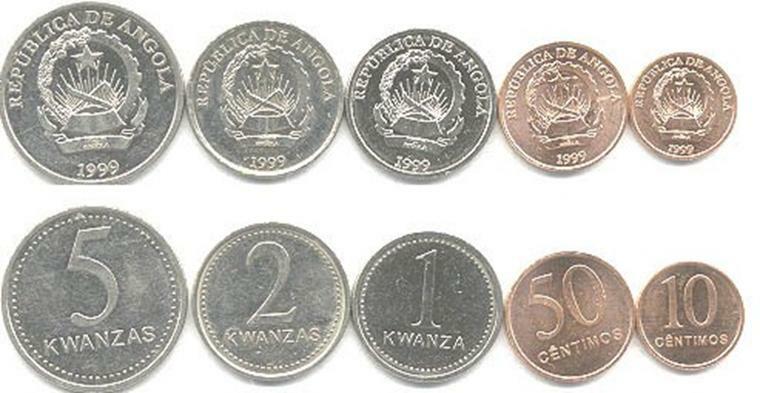 1 Kwanza coin of 4.5 grams of Nickel* and with a diameter of 21mm. 2 Kwanza coin of 5.0 grams of Nickel* and with a diameter of 22mm. 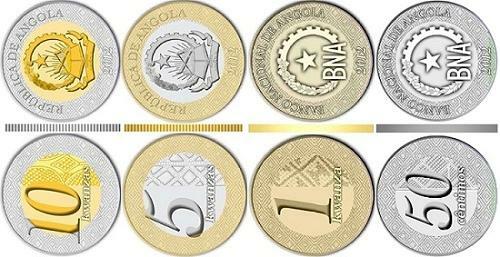 5 Kwanza coin of 7.0 grams of Nickel* and with a diameter of 26mm.